Be it as a pilot up front or as a passenger in the back, even after all the time I've spend being airborne, I remain intrigued by the view outside! Knowing that only about 5% of the worlds population will ever have a chance to fly in their life-time, we should never take this for granted! Don't miss out on that window seat! 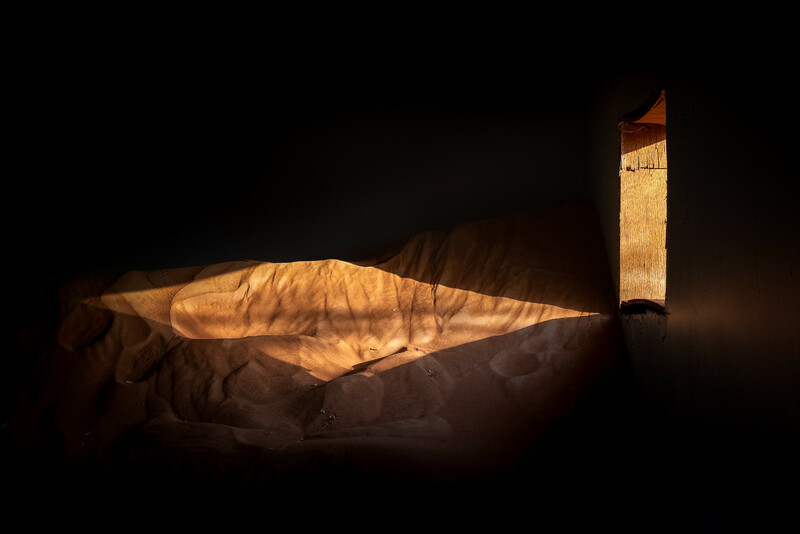 Like most other genres of photography, the best photo opportunities often present themselves during the Golden hour, a short period just after sunrise or before sunset. In the image below, the sun is about to set over the Bay of Biscay in Southwestern France when I was particularly attracted to the complementary colours blue and yellow, that play nicely of each other. The different cloud layers give the image extra depth. More of my Aerial Photography portfolio can be found here. While Alex his work is mainly color work, I've also been fascinated by the black and white work of Turkish-Armenian photographer Ara Güler, who is often nicknamed "The Eye of Istanbul". As a Photojournalist, Ara documented life in the city that was once called Byzantium and Constantinople, from the early 1950's to the 1990's. To celebrate his 90th birthday, an Ara Güler museum opened last August in Istanbul. More than enough reasons to visit the city that is often referred to as the bridge between East and West. As I visited the museum, I would later that day learn that the great Ara Güler had passed away that same morning. What a loss for Photojournalism and Photography with a capital "P"! 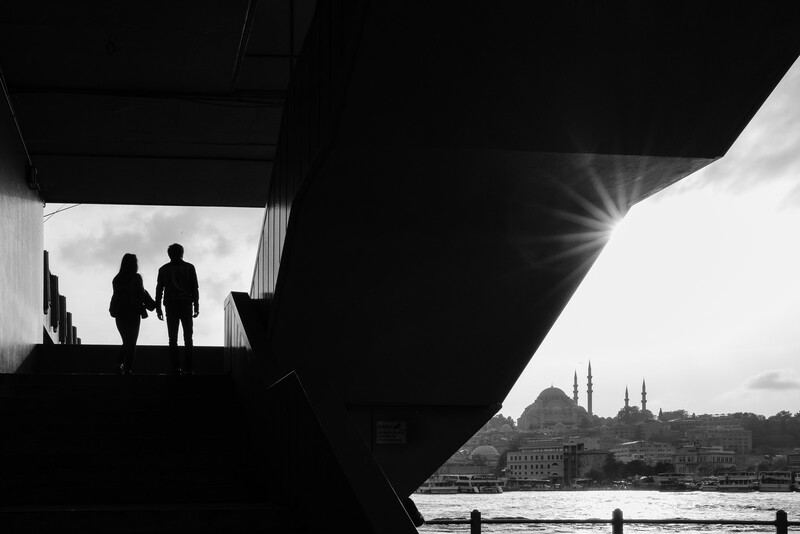 Istanbul is often referred to as one of the best cities to shoot Street Photography in and after having shot there for an intensive 3 days, I have to concur! After Tokio and New York city it is probably my personal number three! Initially I had planned to shoot colour work in Istanbul, but the whole Ara Güler experience on day 1 together with the fact that the skies were mainly grey and overcast, made me change to Black and White. The image below was shot from a place under the famous Galata bridge, during the only short period of sun over the three days. I love how the Suleymaniye Mosque gives the image a nice sense of place. It was merely waiting for the perfect couple to complete the image. During my Street Photo adventure in Istanbul I almost exclusively shot jpegs. I've talked about the excellent quality Film Simulations and the resulting jpeg files which are often nice that replicating them using the RAW file is close to impossible. It begs the question why we still shoot RAW? Well there is definitively still a place for RAW for some genres of photography, for me jpeg has become the way to go for pretty much all of my Street Photography. I might still be shooting RAW+jpeg but often end up not even importing the RAW files anymore. The entire collection shot at Istanbul last week, can be found in its own gallery titled after Ara Güler, "The Eye of Istanbul". More than likely, I will be picking another image from Istanbul for next weeks Pic(k) of the week! 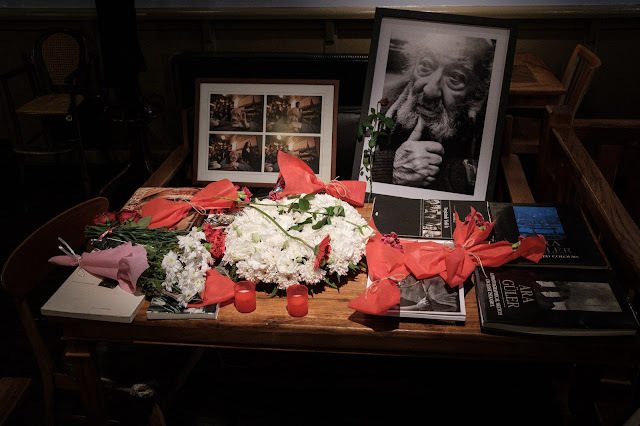 Rather than closing with a quote as usual, I would like to share an additional image made at the Ara Güler Cafe, downtown Istanbul the day after his passing. Still being a regular visitor at his own cafe until just before his passing, people had put some of his books, flowers and candles at the place where he always used to sit down. A touching remembrance for a great man! 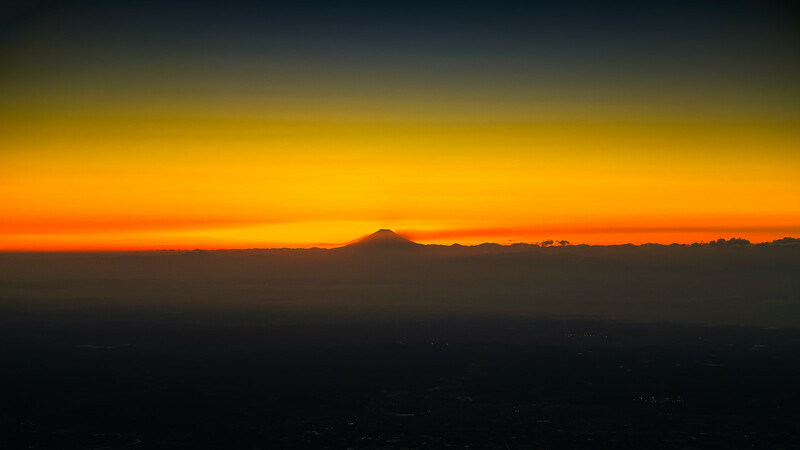 Below is an aerial image of Mount Fuji, often by the Japanese called "Fuji san", just as the sun had set behind it. I love how it distinct shape dominates the landscape! Being so iconic, I believe the image above deserves a place in my Aerial Photography Portfolio. Click here, to see the remainder of this "select" group of my best aerial images! Remember: "Those at the top of the mountain, didn't fall there"
During the month of October, I'll be shooting in my favorite three Street Photography cities worldwide! Over the weekend I had the opportunity to shoot in my number one, Tokyo! In a few weeks, I'll be off for a 4 day trip to Istanbul followed by New York city at the end of the month. Yes, October is clearly Street Photograph month for me! Whenever we fly into Tokyo as airline crew, we stay in the smaller city Narita which is about one hour away from the megapolis Tokyo. 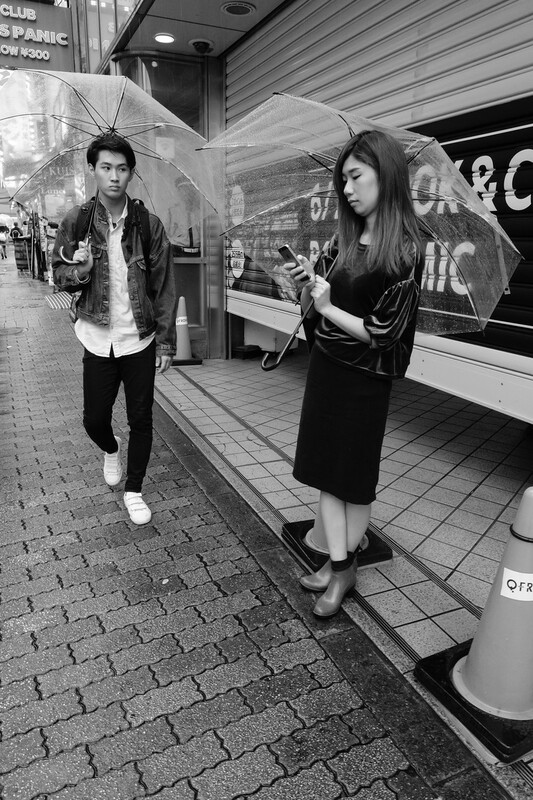 Tropical storm Trami, which temporary closed Tokyo Narita airport on Sunday night, gave me an extended stay by 20hrs; this meant visiting my favorite Street Photography city was much more practical! Because I knew that the public transport would eventually shut down due to the storm, I had limited time available in order to make it back to my Narita hotel in time. It ended up being an intensive 4 hours of shooting downtown Tokyo. The image below was shot close to Shibuya station where one finds the worlds most busy pedestrian crossing. I love how the guy looks at the young lady on the right; a very telling expression which gives the "Street Hunt" phrase the extra dimension! Tokyo is known for its great light with deep shadows and amazing highlights; perfect for colour work; see my Tokyo Colour gallery. Since the sky was grey with the occasional rain shower, I decided to limit myself to shooting black and white. The entire gallery of the shoot can be found here. Remember: "Street Photography is like fishing. Catching the fish is more important that eating it" - Thomas Leuthard.